Senior Hammerheads: The Senior Hammerheads are the swimmers who have demonstrated the ability to accurately swim events for their assigned age group without the expectation of disqualification. This means that swimmers should be able to complete their event without standing on the bottom or holding onto lane ropes. For young swimmers in the 6 & Under age group, there is also a requirement that swimmers must be able to swim from one end of the pool to the other in under 1 minute. The Senior Hammerheads are further broken down into three sub-teams, based on the Head Coach's evaluation during swimmer assessments. The head coach will perform a swimmer assessment at the beginning and throughout the season to determine where swimmers are assigned. Swimmers may be moved throughout the season. Blue Team: This group consists of the most advanced swimmers on the team requiring a challenging training schedule and stroke refinements. Swimmers in this group must be able to swim all four strokes legally. While the strokes do not need to be perfect, there should be no fear of disqualification for any stroke. Swimmers must know how to dive and do a freestyle flip turn. Again, the turn does not need to be perfect, but it should not lead to disqualification. Additionally, since this practice will involve many more laps and intervals than other groups, swimmers must meet some standards in terms of speed and endurance as determined by the head coach. For example, completing a 500 freestyle, with interval milestones, within 15 minutes. Red Team: This group consists of a swimmers who are working on mastering all four stroke fundamentals. 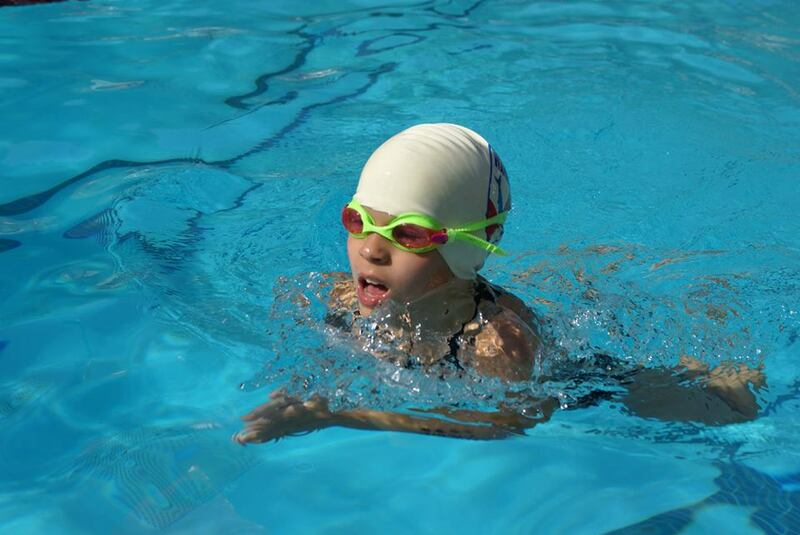 Swimmers must be able to swim one length of the pool, freestyle, with proper rotary breathing. Swimmer must also be able to swim one length of the pool backstroke without flipping onto stomach. Knowing breaststroke or butterfly is not required though they will begin learning and working towards mastering these strokes. Swimmers must demonstrate some level of endurance. For example completing a 300 freestyle within 15 minutes. White Team: This group consist of beginning swimmers who are learning to swim basics strokes, freestyle and backstroke, with a basic introduction to other strokes. Swimmers in the white group must be able to swim one length of the pool in under one minute. They should also possess some basic water safety skills such as floating on their back for five seconds and tread water in the deep end for one minute. These requirements are mandatory for the safety of the child. Anyone who does not meet these three requirements shall work with the Junior team. While it may seem like teams are aged based, they are not. The purpose of placing a swimmer in one group over another is so they receive the training most appropriate for their skill level. Therefore, it is not unreasonable for a young swimmer with strong ability to be placed on the Red or Blue team, and an older first time swimmer to work with the White team. It may also be likely that the coach may want a particular swimmer to work with a different teams for a period of time. Junior Hammerheads: The Junior Hammerhead swimmers are those who have just begun swimming but do not quite yet possess the ability to compete in the meet. The goal for each Junior swimmer is to at some point throughout the season to develop these skills. The week before each Senior meet, the coaches will conduct a "mini" meet with ribbons and times recorded. Any swimmers that complete an event in under a minute and without standing on the bottom or holding a wall or lane rope will be entered in the upcoming meet. As a result, while ASA registration is not mandatory for Juniors, it is strongly encouraged. 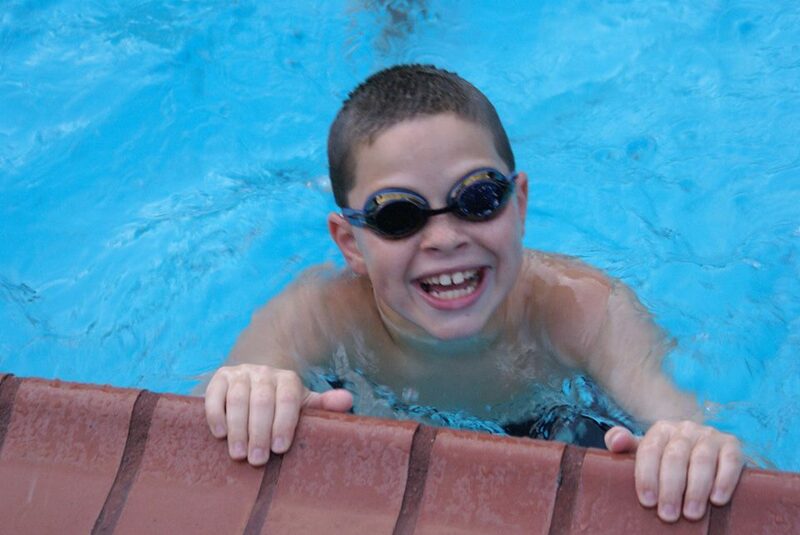 A swimmer who "moves" up during the season will have to complete the ASA registration incurring any late fees. On special occasions, the head coach may enter a Junior swimmer into a Senior meet if there is a need for an additional swimmer. For example, one or more swimmers are needed to complete a four-man relay team. The head coach may also put all Juniors in the last home meet of the season, and any meet where there are "open" lanes. So while we do not require ASA registration for Juniors, we still encourage it as it will be required if they compete in a meet. Practice on the last day of DeKalb school is subject to change depending on expected participation. There may be a combined practice for all swimmers or cancellation if too many swimmers are leaving town for Memorial Day weekend. No practice Monday, Memorial Day. Wednesday morning practices are fun practices that usually involve getting ribbons from the previous meet, donuts, and games. For each practice session each swimmer should bring sunscreen, suit, towel, goggles if desired, and athletic shoes for dry land work. Sandals or flip-flops are highly recommended while walking around the pool deck. If your child is 5 and under, you or a designated adult must be at the pool at all times. No drop offs, no exceptions. Please wait until after practice ends to speak with the coaches. The coaches are not able to “watch” or supervise children who are not part of practice. The baby pool and shallow end are closed during morning practice for non-team swimming, or whenever a life guard is not on duty. There are no lifeguards on duty during morning practices. Parents that drop off swimmers for practice must be reachable via cell phone at all times. Parents must promptly pick up swimmers at the end of their scheduled practice. If you have other arrangements, please make sure the coaches are aware prior to leaving.